I don’t know if you know this but, when you get liquid egg whites in bulk like I do, you have to go through the whole bottle in 48 hours. It’s like a race against the clock! And a bit much if you ask me. 1. To get your cake into that custardy cake I was talking about, bake it for no more than 10 minutes at 170 C (320 F) or until the center is slightly wet but the sides have more of less set. 2. I baked the mix inside four small porcelain ramekins. I know this is vague but you need to play around with it a bit. If you want to get it cakey to layer it up with frosting like I did, take it out after 17-18 minutes, when it will have cooked through. Like I said above, be careful not to overbake it. Just keep and eye on it and take it out as soon as it cooks. 3. For the frosting, all you need to do is mix all the ingredients together in a bowl and boom – you’re done. Add more liquid if you want it creamier or even some greek yogurt. You can add more cocoa if you want too or some flavdrops. Toffee flavdrops are actually really good for the cake if you have some around and want to deepen it’s flavor in a toffee direction. I made four little cakes to create four towers by cutting the cakes horizontally (once they’d cooled) and adding the frosting in between. I then rolled the whole thing in 100% unsweetened cocoa to create some truly ominous-looking cocoa towers. The cocoa on the outside is optional, I just thought, why not? It kind of adds a nice bitterness to the whole thing. Remember you can make shorter towers too or, if you’re feeling lazy, just add the filling on top as a type of frosting? 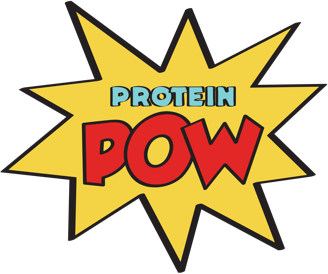 PS: Click here access all of my protein tower recipes so far.